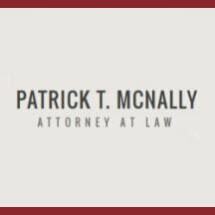 The Nashville Law Firm of Patrick T. McNally, Attorney at Law offers the skills of lawyers dedicated to defending the rights of those who seek representation. The trial and appellate lawyers of this law firm apply their talents to handle civil and criminal litigation throughout Tennessee and the Commonwealth of Kentucky. The three partners of the law firm, James L. Weatherly, Jr., Patrick T. McNally, and Jacqueline B. Dixon, each have over 25 years of experience. They have earned and maintained their reputation for obtaining exceptional results for their clients while holding leadership roles in the local and state bar associations. The partners of Patrick T. McNally, Attorney at Law are known as the lawyers that the lawyers go to when they need representation. U.S. News lists Patrick T. McNally, Attorney at Law “First-Tier of its Best Law Firms ranking in the practice areas of criminal defense both white collar and non-white collar” for 2010, 2011, and 2012. Best Lawyers in America lists James L. Weatherly, Jr. in the category of Criminal Defense and Patrick T. McNally in the category of DUI/DWI Defense for 2010, 2011, and 2012. Super Lawyers selected James L. Weatherly, Jr. and Patrick T. McNally for inclusion in the 2010 and 2011 Mid-South Super Lawyers list. Jacqueline B. Dixon was selected as President for the Tennessee Bar Association. Our decision to remain small is one of the keys to our firm’s success. We provide our clients with highly personal and attentive services. Our size allows us to provide prompt and responsive service on behalf of our clients. And because we are a smaller law firm, the partners are able to work closely together to reach the best possible results in the matters we handle for our clients. The spirit and not the form of the law keeps justice alive. The partners at Weatherly, McNally & Dixon, PLC have been keeping the spirit of the law alive in the courtroom for over 80 combined years. We have dedicated our professional lives to seeking justice and defending the rights for you and your family. Our reputations with the legal community depend upon the representation we provide our clients. The three members of the law firm are AV-rated. * Our lawyers serve the local and state wide legal associations as lecturers, service on committees, and selection to positions of leadership. Our partners have the experience to handle a wide range of legal matters. We concentrate in the areas of criminal defense, family law, and personal injury claims. To discuss your legal concerns with one of the partners with knowledge and experience in your matter, contact our office today.